There was no shortage of intriguing storylines going into the 76th Golden Globe Awards — and arguably even more as the winners were announced. In a night filled with surprise wins and a remarkably fresh list of nominees — particularly on the television side — there were few big winners on the night from any single studio or network, with the possible exception of Netflix, which won multiple awards for projects on both the big screen and small screen. At the end of the night, Netflix walked away from the Golden Globe Awards with five wins across movie and television projects, the most for any single studio or network. The streaming service benefited from a year in which many perennial television nominees — including Game of Thrones and Master of None — didn’t air new seasons, resulting in a list of nominees vying for the top prize that included just one show that had been nominated in a previous Golden Globe Awards ceremony: Amazon’s acclaimed comedy series The Marvelous Mrs. Maisel. On the movie side, the night’s top awards went to two films that weren’t expected to win their respective categories going into the ceremony: Civil rights drama Green Book in the Best Motion Picture – Musical or Comedy category and rock biopic Bohemian Rhapsody in the Best Motion Picture – Drama category. The decision to nominate A Star is Born and Bohemian Rhapsody in the drama category (as opposed to the more obvious Musical category) was widely criticized going into the show, and the Freddie Mercury biopic’s win was possibly the night’s biggest surprise, as Bohemian Rhapsody received mixed reviews from professional critics and was left off many major awards’ nominations at this point. Both winning films also came into the ceremony with plenty of controversy, with Green Book widely criticized for its portrayal of the era and the real-life characters the story is based on, and Bohemian Rhapsody earning criticism for its treatment of Queen frontman Freddie Mercury’s sexuality. Despite the controversy, Green Book ended the night with three wins — the most for any single movie — earning additional awards for supporting actor Mahershala Ali (who used his speech to address the controversy) and screenwriters Nick Vallelonga, Brian Currie, and Peter Farrelly. This made Universal Pictures the only three-win studio of this year’s Golden Globe Awards, offering an indication of just how thin the ceremony’s voting body, the Hollywood Foreign Press Association, spread the wins around. The two wins for Netflix on the big-screen side honored Roma, director Alfonso Cuarón’s film that draws from his own childhood experiences in Mexico City. Cuarón was named the year’s best director and the film also took home the Golden Globe Award in the “Best Motion Picture – Foreign Language” category. On the television side, both Netflix and FX won three awards to lead the small-screen networks. The sixth and final season of The Americans on FX took home the award for “Best Television Series – Drama,” beating Julia Roberts’ critically praised Homecoming on Amazon. In a bit of an upset, Netflix series The Kominsky Method won the Best Television Series – Musical or Comedy category, topping the aforementioned The Marvelous Mrs. Maisel. Given that Amazon was expected to win at least one of the top categories — and possibly both — it was a disappointing night for the streaming service, which has previously done well at the Golden Globe Awards. It wasn’t a total loss for Amazon, though, as Mrs. Maisel star Rachel Brosnahan took home her second Golden Globe Award in as many years for her performance in the comedy series, and Ben Whishaw won a Golden Globe for his supporting performance in the limited series A Very English Scandal. 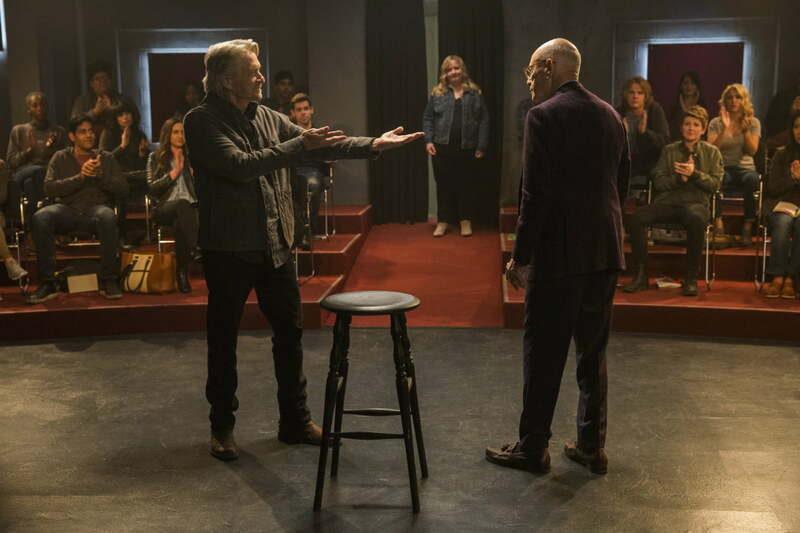 Adding to the wins for Netflix was an additional award for The Kominsky Method honoring lead actor Michael Douglas, who noted the changing perception of television among big-screen stars that has been brought about by the rise of streaming media. Netflix took home another award on the television side when Richard Madden won for his portrayal of a British security officer in the BBC/Netflix coproduction Bodyguard. Although the night was filled with a wide array of winners, there were some perceived snubs in the ceremony’s results, too. Despite entering the night with five nominations and considerable Academy Award buzz, musical drama A Star is Born ended the night with just one win in the Best Original Song category. And despite earning three nominations, Roberts and Homecoming were blanked at the end of the nigh.